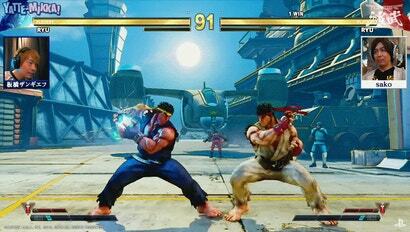 PlayStation Japan recently invited two high-level fighting game competitors to showcase a special Ryu-on-Ryu mirror match in Street Fighter 5. But this wasn’t a normal exhibition. Instead of playing out the kind of fight you would see at the Evolution Championship Series, the Japanese maestros demonstrated their knowledge of the game by performing a special, choreographed routine that ended in a double KO. While post-match handshakes have become commonplace in the fighting game community, they rarely come laden with dense layers of history. 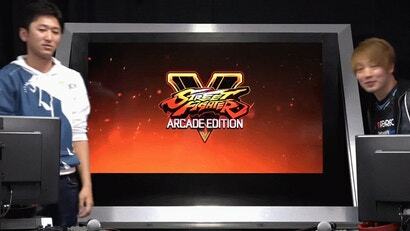 Japanese competitors Naoki “Nemo” Nemoto and Hiromiki “Itabashi Zangief” Kumada have turned these brief moments of sportsmanship into yet another opportunity for showcasing their deepening rivalry. The two had a very tense post-match handshake this past weekend at TOPANGA League 7, and that handshake has a big backstory.